We are so proud of our first Gold Duke of Edinburgh award recipient. It is a really fantastic achievement for him and everyone who has played a part in supporting and enabling him to reach this goal. As a Luton Town fan, Jason was overwhelmed to learn that some members of staff at Luton Town football took part in half marathons in order to raise money to cover the costs for him to take part in the expeditions. A truly great gesture. Jason received his Gold award from Prince Edwards the Earl of Wessex at St. James' Palace. A very proud day for him, his family, his supporters and the whole of Woodlands. Jason will be an inspiration to the 7 students taking part in the Gold award this coming year. In November an ITV film crew came in to do a piece about the Duke of Edinburgh scheme that we offer to students at Woodlands. The students showed off their skills by working together to pitch tents and make beans on toast. Some of the braver students even gave interviews about their experiences of taking part in the D of E.
This year we have the following students participating in the following catergories. 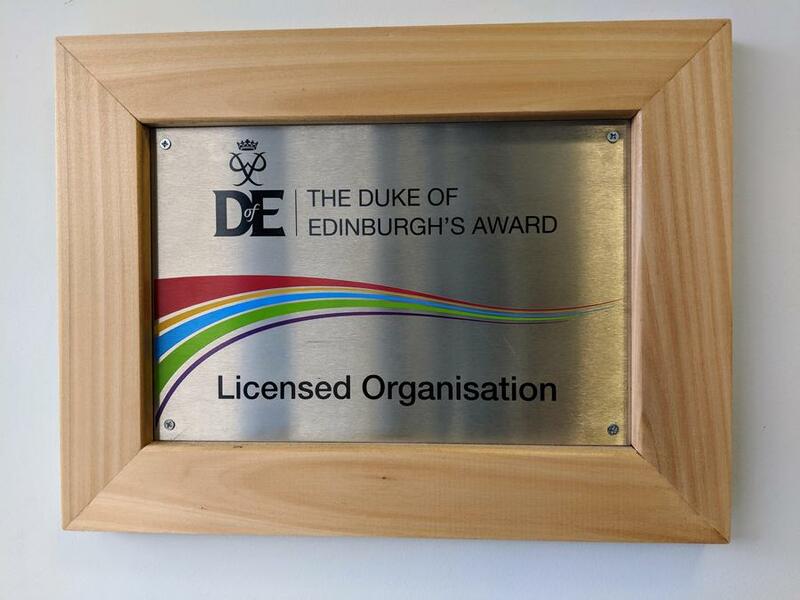 It has been a busy year for our Duke of Edinburgh Award Scheme this year. We have a record number of students participating (for us!) and are now offering all three levels. For the Skill section, students have completed a variety of activities such as cooking, drawing, gardening and reading. Class staff have been keeping a close eye on their achievements and reporting back to the Duke of Edinburgh Team. For the Physical section, students have been using the gym, playing in the football team or swimming. The PE team have been keeping the students on their toes and making sure they complete the necessary sessions. For the Volunteering section, students have been part of school council, been a buddy or a mentor supporting other students or running errands in school or in the community. Bronze Expedition – students from Key Stage 4 have started on their Duke of Edinburgh challenge. Students camped overnight in the school field having followed the Lea Valley Walk through Luton. Silver Expedition – students from Key Stage 4 and FE travelled to Cheshunt. Students followed a combination of maps and local walking routes. Students walked about 8 miles a day and cooked on outdoor stoves. Gold – This year we are pleased to have our first Gold participants. Two FE students will be going to the Lake District to participate in expeditions with the Bendrigg Trust this summer. Having completed their Bronze and Silver – this is a fantastic achievement! Well done Jason and Eliseo. Checking the map before we set off! Following the footpaths and finding our way. Using the iPad to take pictures of our journey. The swan markers show us the way. Tent poles require two sets of hands. The tent is finally up! All is quiet in camp. An early night for all. Striking the tents before heading out on day 2. Good morning, ready for day 2.